A seat collar with an integrated brake cable hanger is an excellent idea. 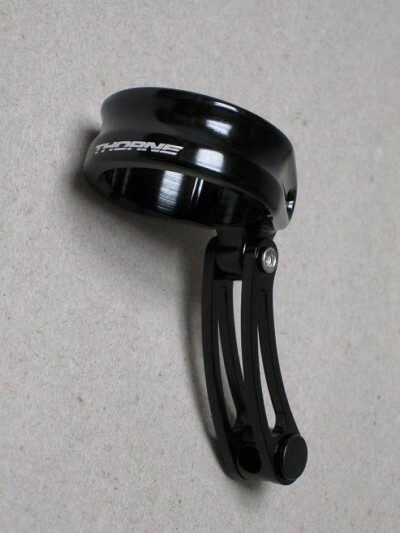 That’s why Thorne Products is making one available to the serious cross racer. Perfect for frames lacking a built in cable stop. Hanger is mounted on a hinge with the cable stop a rotating barrel. This will allow the hanger to find proper alignment on any size frame. Offset slot to provide safe clamping of carbon framesets. Finished in black sporting a handsome Thorne logo. Available only in 34.9mm clamp. Weight is a svelte 41 grams.